I admit it -- I have an Amazon account. I may love to shop local, but nothing is ever all black or all white, is it? I recognize that sometimes I'm just not going to find what I'm looking for at the local independent shops. And sometimes it's just easier to have it delivered. And, that's okay. I still consider myself a "localist" because I believe in the value of shopping locally, and do so as often as I can. I used to shop local purely for enjoyment. I loved browsing the little stores all over our city. These days I still shop local because I enjoy it. But it's also a conscious decision to support my local businesses. Why? There are countless online sources that can give you the facts about why shopping locally is so important for our communities and our local economies, so I won't bother. But, for me this little story illustrates those statistics so much better. The other day I congratulated the owner of one of my neighborhood shops on the recent opening of his second shop. He confessed he was lucky to get the new retail space for a song. And, then he shared that, though the stores were making steady sales, he wasn't really making a profit. "This is definitely a labor of love," he said. "If I had a family, I couldn't afford to stay open." And that time commitment? "It cost me a relationship," he admitted. He then gave me a little background about another business I knew well, one that had a steady stream of traffic, but shuttered its doors a year ago. "Without his wife's job, they couldn't have stayed open for as long as they did. He finally closed up shop when he got a good job offer he couldn't pass up." These confessions stopped me in my tracks: Is owning a local retail business today something that only those without dependents -- or that are dependent themselves -- can manage? Sure, you can argue that's business. You can tell me things have changed, and perhaps the small businesses just can't keep up with the online businesses. And, that all may be true. Yet this is also true: Online businesses are simply selling us a product. Once you click the submit payment button, the relationship ends. But, our small local businesses give us so much more than just the books or clothes or coffee they sell us -- they give us experiences that help shape a community. As a community, we need these local businesses. I think about my favorite local shops and the experiences we would miss if they closed their doors: Where would I take my kids for story time if that bookstore was closed? Where would we go for an ice cream treat after a fun afternoon playing in the park? Where would I go to work when I need a little quiet time if that coffee shop was gone? Because these local businesses don't just sell us things -- they provide us with gathering places and sense of community. When you shop local, you are not just paying for the item you bring home, you are also paying for an experience. And, that experience doesn't end once you leave the shop. These local businesses have created a vibrant, lively atmosphere that we enjoy regularly -- and it's not something we always pay for. Yes, we eat at our neighborhood restaurants, drink at our neighborhood bars, hang out at our neighborhood coffee shops, and buy from our neighborhood retailers. But, we also go to First Friday Art Walks. We take the kids to the annual Trick or Treat Street (hosted by the local businesses). Occasionally we hear music and follow the sound down the street to see what's going on. And, clearly my family isn't the only one who appreciates this sense of community because the street is always lively with people. It's not just our Berkeley neighborhood either. You will find similar scenes on South Pearl Street, on South Gaylord Street, on Broadway, in Five Points, in Congress Park...you get the idea. For every neighborhood where local businesses and neighbors co-exist, you'll find this symbiotic relationship. There's a movement that became popular a few years back called the 3/50 Project. The idea is to pick three local businesses you would miss if they were no longer around, and plan to spend a total of $50 in those local shops every month. That's less than $17 per store, which seems pretty reasonable. We're not talking about $50 in additional purchases, either -- just what you are already consuming each month. You could easily spend that at your hardware store, your bookstore, and your corner grocer. Here's the kicker: if only half the working population did this each month, it would generate more than $40 billion in revenue. And, because that revenue is locally spent dollars, it is four times as likely to stay in the community and be spent at other businesses. I'll admit, I haven't personally worked out the math on the $40 billion. But the concept is intriguing: can spending just $50 a month help to keep alive these amazing business districts that give life to our neighborhoods and add dimension to our lives? I sure hope so. So, I try to support our local businesses whenever I can -- even if it's not 100 percent of the time. And, yes, sometimes I pay more than I would at the big-box stores or Amazon. But, I happily pay that. I think of it as an investment in our community...because what we get back in return is worth so much more. 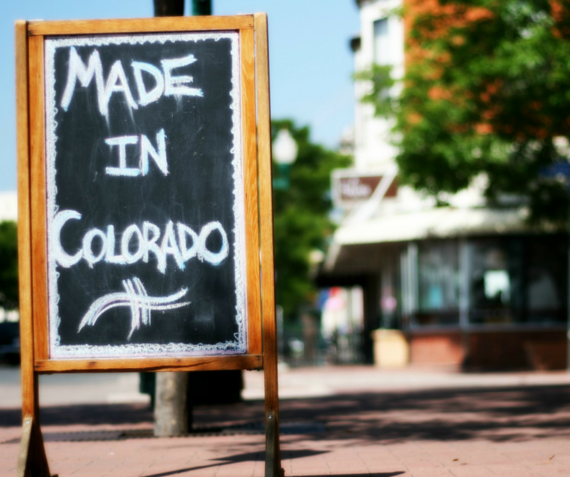 Heather Garbo is a Denver-based mama of two with a love for all things local. 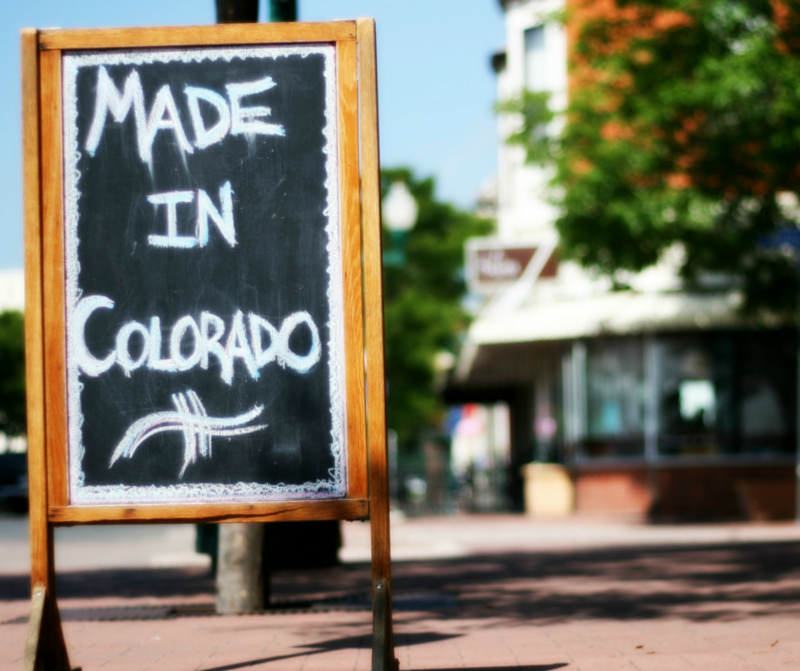 Her blog, www.denverdweller.com, provides inspiration for better local living with resources to live and shop local in Denver, as well as ideas for stronger neighborhood ties, such as 31 Ways to Build Community in Your Neighborhood.